Exuviance Age Reverse Total Correct and Sculpt Serum. Whew! That’s quite a mouthful, and it promises quite a lot. I kept seeing Exuviance products pop up on my Brandbacker dashboard, and I know their products have a really good reputation (along with parent brand Neostrata), so I decided to try their anti-aging serum. The Exuviance Age Reverse serum is definitely the sort of product I’m attracted to, with promises of mild exfoliation, brightening, and smoothing. I received this product free to review, but my reviews are always my honest opinion. I think of Exuviance as a “dermatological” brand — that is, serious skincare with a focus on targeted results. Usually these types of products have a few hard-hitting and effective ingredients and not much else, and this is certainly the case with the Exuviance Age Reverse serum as well. Ingredients: Aqua (Water), Propylene Glycol, PEG-8, Acetyl Glucosamine, Cyclopentasiloxane, Glycerin, PEG-12 Dimethicone, Polymethylsilsesquioxane, Cyclohexasiloxane, Ascorbyl Glucoside, Acetyl Tyrosinamide, Dimethiconol, Arginine, Caprylyl Glycol, Polyacrylate-13, Polyisobutene, Polysorbate 20, Xanthan Gum, Phenoxyethanol, Chlorphenesin, CI 15985 (Yellow 6), CI 19140 (Yellow 5). NeoGlucosamine is an amino sugar, n-acetyl glucosamine, which Neostrata/Exuviance has trademarked as NeoGlucosamine. This glucose-derived sugar is a skin-identical ingredient, and is found in the spaces between skin cells. Research indicates that this ingredient helps your skin to produce more hyaluronic acid, which plumps and moisturizes the skin. NeoGlucosamine prevents the formation of brown spots by inhibiting the enzyme tyrosinase, a precursor to melanin production. And finally, this ingredient is a mild exfoliant that gently removes dead skin cells without the irritation that exfoliating acids can bring, making it ideal for sensitive skin. A stable form of Vitamin C, ascorbyl glucoside is stable in a water-based solution and is more gentle on the skin than its acidic form (L-ascorbic acid). Vitamin C is great for reversing sun damage and lightening pigmentation, and although ascorbyl glucoside won’t show results as quickly or dramatically as acidic Vitamin C, it makes a great supporting player in this serum. Another topical treatment developed by Neostrata, AminoFil, or acetyl tyrosinamide, has shown success in reducing the depth and appearance of fine lines and wrinkles, and increasing the firmness and volume of skin. Again, most of the research on this has been done by Neostrata. Brands like Neostrata and Exuviance have one really great thing going for them — extensive R&D departments that are able to test and innovate potentially ground-breaking ingredients. Personally, I’m the sort of person who always wants to know the why of things (even though I’m not a scientist), so I greatly appreciate the research backing of the ingredients they use. Even though much of the research on these ingredients is done by the brand itself, they meet the standards to be published in peer-reviewed journals, something not everyone can claim! I’ve used the Exuviance Age Reverse Total Correct and Sculpt Serum for a little over two weeks, but this isn’t enough time to really determine whether it’s truly effective for anti-aging and brightening. Realistically, I’d need at least a month to fully test this kind of product, so I’ll come back and update this post when I do. What I can talk about is how this serum feels and how I fit it into my routine. The Exuviance Age Reverse serum has a runny but viscous texture, similar to olive oil. But the viscosity doesn’t come from oil; instead, a variety of silicone skin moisturizers and smoothers give it its texture. It doesn’t feel watery or slippy, instead it spreads on a bit sticky, but the serum quickly dries down to a smooth and silky finish that makes a great makeup base. Oily skin types could probably use this and skip moisturizer, as it supplies about the same amount of smooth moisture as a gel cream. Because of its thicker texture, I use this as my last serum step, just before my cream. As long as you’re not sensitive to silicones (they’re generally well-tolerated), this serum would be great for sensitive-skinned folks due to the short ingredient list and lack of potentially irritating fragrances and essential oils. I do know that some people don’t like products with silicones in them (either because of their texture or because you prefer natural ingredients), so if you’re one of them, this isn’t the product for you. The Exuviance Age Reverse Serum does give me some immediate skin-smoothing results. 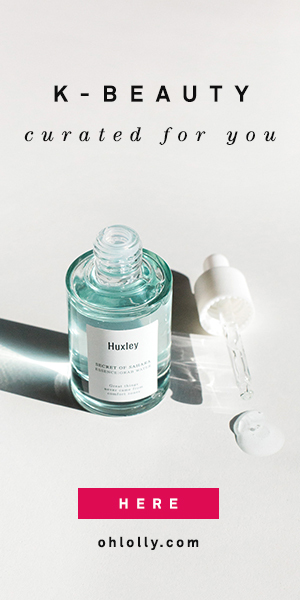 The elastic polymers used in the serum fill in fine lines, giving your skin a smoother appearance, similar to using a makeup primer (but with skincare benefits!). Over the last two weeks, my skin has gotten slightly brighter, so I believe this serum is either working on its own to exfoliate and smooth, or it’s boosting the other brightening products in my skincare routine. I do exfoliate frequently with AHAs and Vitamin C (acidic form), but the brightening seems to have accelerated since I incorporated the Exuviance serum. It hasn’t caused any breakouts or clogged pores, and because it forms a protective film over my skin, it helps my skin to retain moisture. If you’re sensitive to stronger exfoliants, and want a serum that gives you some gentle brightening and exfoliation while instantly smoothing your skin texture, the Exuviance Age Reverse Serum is a great choice. It is on the pricier side, but it does have some innovative ingredients that make it worthwhile. Yeah most serums are a bit runny. Right now I am using a moisturizing one from Korrs it is great. But I want to add an exfoliating one too, so may check this out. It’s a pretty gentle when it comes to exfoliating, if that’s what you’re looking for!